The earliest Anabaptist confession, The Seven Articles of Schleitheim (1527), forbade in Article 4 the patronage of drinking places. Capito, the reformer of Strasbourg, states in a contemporary letter that the Anabaptists had undertaken to refrain, among other things, from drinking (“zu meiden das üppige Spielen, Saufen, Fressen, Ehebrechen, Kriegen, Totschlagen”). 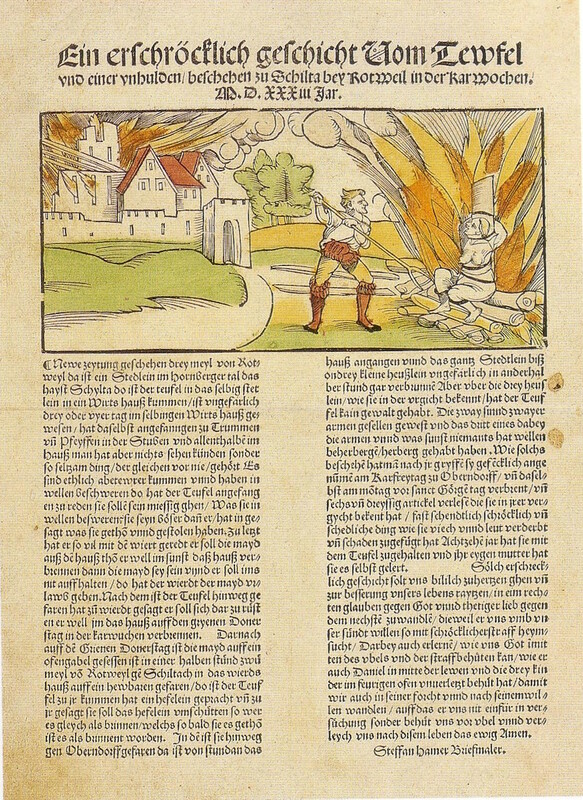 Bullinger, Zwingli‘s successor in Zürich, in his 1560 work against the Anabaptists (Von der Wiedertaufferen Ursprung) states that they drank only unfermented sweet cider (Süssmost) and water. 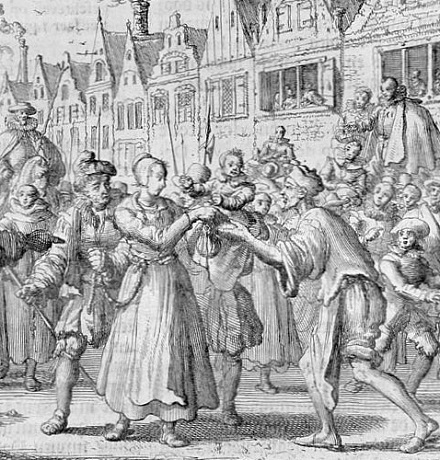 Anabaptists were often identified as such because they refused in the inns to drink alcoholic liquors to the health of other guests, whereupon they were arrested and executed. An illustration of this is Michael Seifensieder, a preacher of the Hutterites, who with two associates [Hieronymus Kals and Hans Oberecker -ed.] was arrested on Jan. 8, 1536, in an inn in Vienna for the above reason,* having been discovered by his refusal to drink, and was finally burned at the stake on March 31, 1536. While they were eating supper, the people tried to ascertain their character by drinking to their health; but when they perceived that they would not respond, the host had some paper brought, and wrote a letter in Latin, which, among other things, read as follows, “Here are three persons who appear to me to be Anabaptists.” But he did not know that Brother Jerome [Hieronymus Kals] understood Latin. Then said Jerome to the other brethren, they would watch together, let things go as the dear Lord should please. Two hours afterwards the constables came and brought them bound before the judge, and when they had been examined they were put in prison. 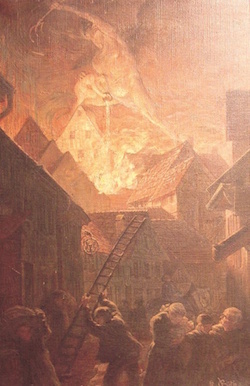 On this date in 1533, a German woman, nameless to posterity, was burnt as a witch in the town of Schiltach. This Black Forest idyll had been ravaged by fire on Maundy Thursday, the 10th of April. We have seen many times in these pages how frightful was the scourge of fire for early modern cities, and the haste by which it was liable to be attributed to a malevolent plot. One problem: upon her dismissal, she had returned to her native Oberndorf. 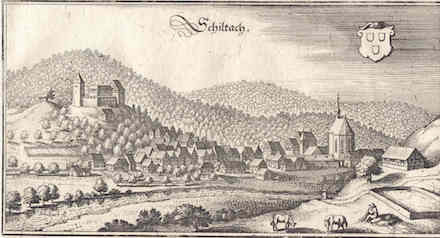 Not being in Schiltach at all during the events in question seemed like a pretty good alibi. But since witchery was contributing means and motive, why not opportunity as well? Everyone knew that witches could fly. She was proximate, if not spatially then conceptually, to a disaster, and this was reason enough. 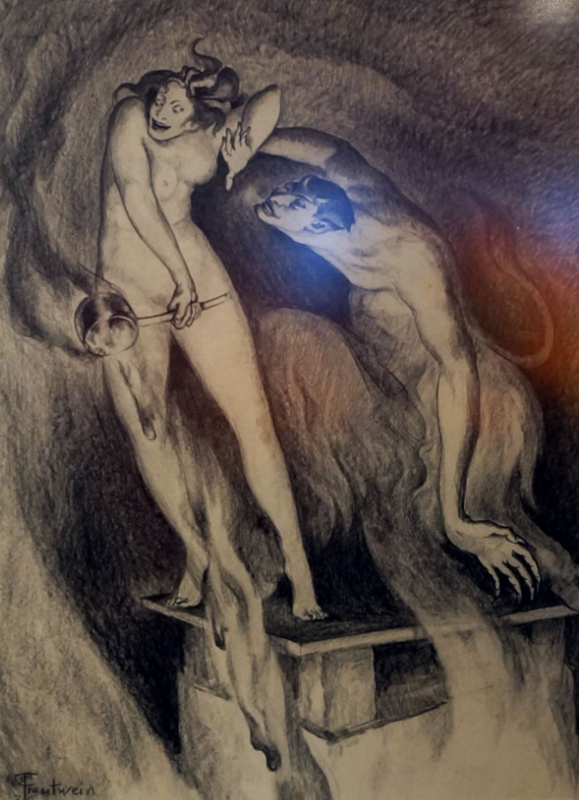 The luckless woman was retrieved from Oberndorf to answer the tortures of her disgruntled ex-boss, and consigned to the stake … and, as the images accompanying this post will attest, to local legend. Though it is not certain, it is thought that December 27, 1539 might have been the execution date of Catholic martyr St. John Stone in England. An Augustinian whose friary was closed in 1538 during the Dissolution of the Monasteries, Stone at his expulsion “rudely and traitorously” refused to endorse Henry VIII’s authority over the church. He maintained his obstinacy even under the personal interrogation of Thomas Cromwell. Somehow a year passed before Stone was brought to trial at Canterbury as a traitor. The execution of the inevitable sentence might then have been held up to coincide with the arrival to Canterbury of Anne of Cleves, the German Protestant princess who was (ever so briefly) Henry VIII’s fourth wife. Welcome to England, honey! It’s a great scene to imagine, but obviously the story — and hence this date — smacks of propaganda. Whatever the true date of execution was, what we do have for certain is the butcher’s bill — itemizing the operation of tearing apart a religious dissident into rigorous accounting straight from your corporate expense report. Paid for half a ton of timber to make a pair of gallows to hang Friar Stone, 2s. 6d. ; to a labourer that digged the holes, 3d. ; to four men that helped set up the gallows for drink to them, for carriage of the timber from Stablegate to Dongeon, 1s. ; for a hurdle, 6d. ; for a load of wood and for a horse to draw him to the Dongeon, 2s. 3d. ; paid two men that set the kettle and parboiled him, 1s. ; to two men that carried his quarters to the gates and set them up, 1s. ; for halters to hang him and Sandwich cord and for straw, 1s. ; to a woman that scoured the kettle, 2d. ; to him that did the execution, 3s. 8d. The Vatican rates John Stone as one of the Forty Martyrs of England and Wales, and canonized him in 1970. Beware, trust not in the vanity of the world, and especially in the flattering of the court … if I had followed God’s word in deed as I did read it and set it forth to my power, I had not come to this. This was the execution date in 1536 of Anne Boleyn‘s co-accused, the undercard to the deposed queen’s beheading. It was the accusation of adultery that furnished Anne’s downfall; some adulterers were perforce required. These were William Brereton, Henry Norris, Sir Francis Weston, Mark Smeaton … and the ex-queen’s own brother, George Boleyn. Along with Smeaton, three gentlemen-doomed plucked from the Tudor court’s shadowy recesses — joined to the legendary queen at the chopping-block, if not very probably in her bed. following daily her frail and carnal lust … procured and incited her own natural brother, Geo. Boleyn, lord Rocheford, gentleman of the privy chamber, to violate her, alluring him with her tongue in the said George’s mouth, and the said George’s tongue in hers, and also with kisses, presents, and jewels; whereby he, despising the commands of God, and all human laws, violated and carnally knew the said Queen, his own sister, at Westminster; which he also did on divers other days before and after at the same place, sometimes by his own procurement and sometimes by the Queen’s. A foolish bet, but perhaps one placed from a position of willful hope. If a peer of the realm could be condemned a traitor for hanging out with his sister, then no Henrician nobleman could hope to sleep securely. Little could their dread fathom the bloody years to come. Many who saw the Boleyns’ heads drop would in time have cause to make of their gambling winnings a purse to tip their own executioners. Thomas Cromwell, who engineered the Boleyn faction’s fall, outlived it by barely four years. The Earl of Surrey, who sat in judgment on this occasion, lost his head in 1547; his father the Duke of Norfolk,** who was the presiding judge, only avoided execution because Henry VIII died hours before Norfolk was to go to the block. George Boleyn’s wife, Lady Rochford, is supposed to have provided evidence against him; she was later swept up in the fall of Catherine Howard and beheaded for her trouble on that occasion. But those were tragedies for later days. * In the Tower awaiting execution, Anne would voice worry for Smeaton’s soul when she learned that he had failed to retract this confession at the block. But Smeaton and all the men were beheaded in preference to a sentence of drawing and quartering, and had reason to be cautious about their comportment on the scaffold lest crueler torments be reinstated for them. ** Norfolk was Anne Boleyn’s uncle. † Circa Regna tonat: “Around the throne it thunders”, from Seneca’s Phaedra. 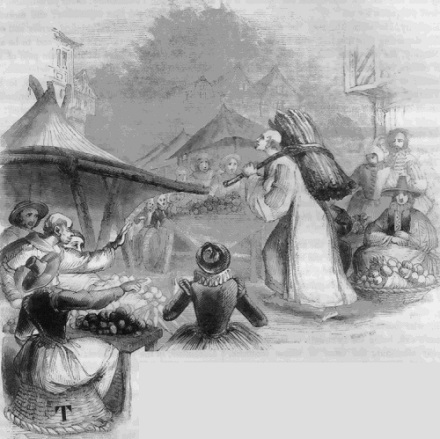 Dutch artisan Sikke Freriks, beheaded on this date in 1531 in Leeuwarden‘s market, was the first Anabaptist put to death in that Friesland city. While a minor milestone in the crowded history of Reformation martyrdoms, Freriks had a noteworthy posthumous effect: word of his heresy — adherence to adult, rather than infant, baptism — came to the ears of a Catholic priest, who later wrote that a man’s dying for this illicit doctrine led him to investigate it further. To his amazement, the priest found no scriptural support for the established church’s practice of baptizing infants before they developed the maturity and volition to embrace Christ from the will of their own hearts. Christians are “cheated” by the loss of that opportunity of freely giving oneself in baptism, he later wrote. This man, Menno Simons, would follow his discomfiting scrutiny of holy writ all the way out of the priesthood and into that same forbidden sect. 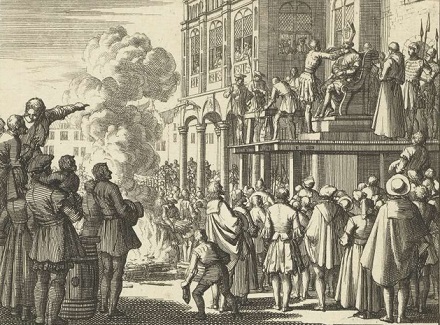 His preeminence in the Anabaptist movement after its disastrous Münster rebellion — and particularly his pacifistic orientation — eventually ennobled him as the founder as well as the namesake of the Mennonites, a term that in Menno Simons’s own lifetime became all but synonymous for Dutch Anabaptism. Dutch Anabaptist Anneke Esaiasdochter (better known as Anna Jansz; this was the surname of her husband*) was executed in Rotterdam on this date in 1538. Anna (English Wikipedia entry | German) is a key martyr of the fragmented Anabaptist movement following the destruction of Anabaptis’s “New Jerusalem” in Münster. This catastrophe hurled Anabaptism into the desert, where rival leaders pointed the way to different horizons. 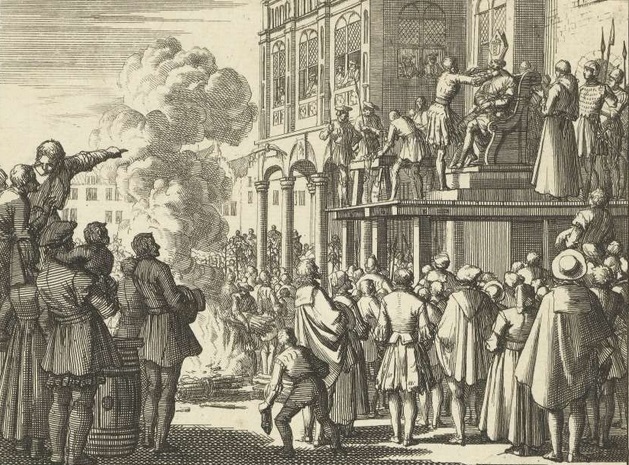 Would it double down on revolutionary political aspirations, along the lines of Münster? Would it become a pacificist, spiritual movement without secular aspirations? 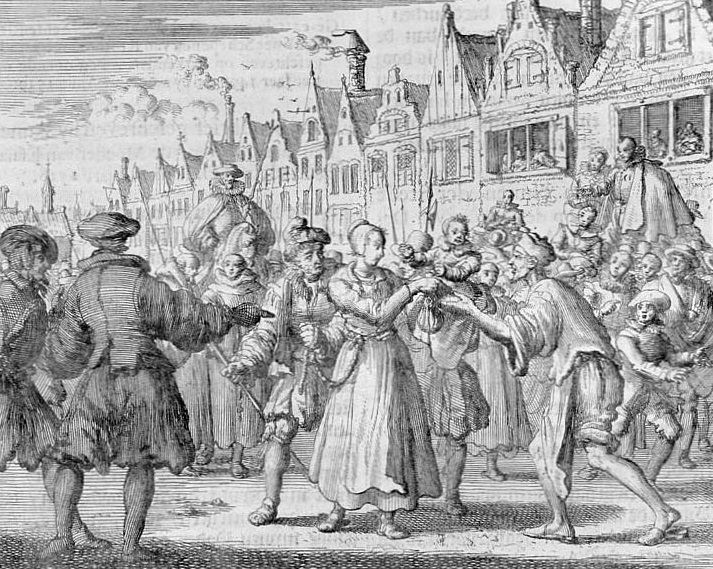 Anna Jansz, at least as she appears in the readings others have given her, somewhat personifies these conflicting directions — and not incidentally, the also-open question of women’s role in the Anabaptist movement. In the end, a fixed conclusion as to whether Anna was a firebrand later softened for public consumption, or the reverse, or a more nuanced character entirely, is beyond the reach of posterity. In any guise, she was an exponent of the call to spiritual purity and anticipation of the Lord that fortified a proscribed faith in its wilderness sojourn. Detail view (click for the full image) of Anna Jansz en route to her January 24, 1538 execution from the Martyrs’ Mirror. * Anna’s husband Arendt Jansz fled to England to escape the persecution of Anabaptists, which is why he doesn’t figure in this story. From the flesh of kings and princes. I will feed you the flesh of princes. As they have done, so shall be done to them. You servants of the Lord, be of good cheer. Wash your feet in the blood of the godless. This shall be the reward for those who robbed us. Be pleased therefore, rejoice and be glad. All you who foresee vengeance. And to revenge all our blood. His wrath is beginning to descend. We are awaiting the last bowl. Oh bride, go to meet your Lord and King. Receive all your children alike. You shall spread out your tents. Receive your corwn, receive your kingdom. Your King comes to deliver. He brings his reward before him. You shall rejoice in it. We shall see his glory in these times. Rejoice, Zion, with pure Jerusalem.